No holds barred: I struggle with and shy away from Chinese food especially the insipid and bastardized versions served in this country. You may have read that I went back to my birth place for my parents 50th anniversary over last summer, and I took the opportunity to literally stuff my face with all the dishes holding childhood memories and gastronomic reveries. The highlight of this epicurean trip was visiting a number of fine-dining Chinese restaurants to remind myself of what veritable dishes of this grand cuisine taste like. From aversion to affinity. Having returned from my Southeast Asian trip, my hunt for decent Chinese restaurants has been reinvigorated, and I quickly went back to an old haunt that had not seen my face for many moons (read Full Key). Shortly after such a memorable trip, my laptop screen flashed an online coupon offer for a restaurant offering cuisine from the mainland. 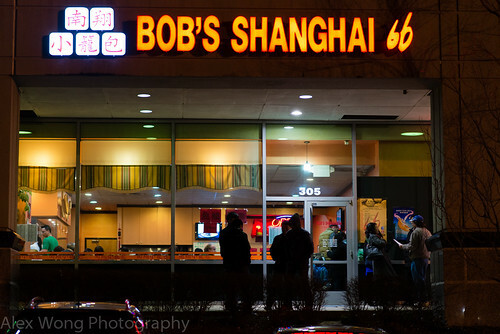 With coupons in hand, I made a couple of trips to Bob’s Shanghai 66 located on the same location where Bob’s Noodle 66 (read blog) used to be located before moving itself merely across the street, once by myself, and the other with a friend from the mainland in tow. Walking into the space, you are immediately impressed by the sheer busyness created by customers packing the restaurant sitting at the tables or standing in line, and the large glass-enclosed assembly line of workers producing (and overtly advertising) the restaurant’s signature dish – Xiao Long Bao or Soup Dumpling. So without any hesitation, we ordered a bamboo basket full of these small beauties from the section listed as Shanghainese Tapas. One bite into these Shanghai delicacies said it all. The dumpling skin was slightly firm but thin enough to be both completely cooked and able to hold the ingredients of a meat filling that was well-seasoned and tasted multi-dimensional, bursting with a rich soup produced by the pieces of gelatinized stock (I noticed the little glowing cubes imbedded in the meat mixture in the production line) melting during the cooking process. 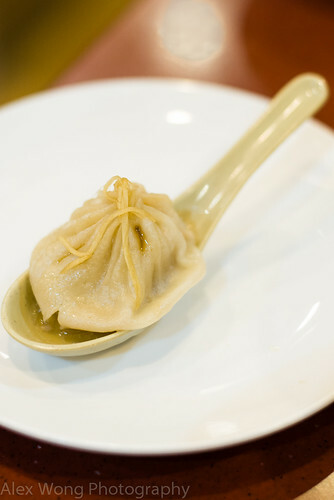 The secret is to place one dumpling in a spoon, piercing it to let the soup pour out, drink the rich liquor, and ingest the dumpling – instructions are not included there. The side sauce of ginger slivers in earthy Chinese black vinegar is the perfect acidic and flavor counterpoint to the mouth-sticking soup and the rich pork stuffing. These bites were worthy enough for my friend to state that he would bring his mother there just for this dish (Chinese love their mothers too). 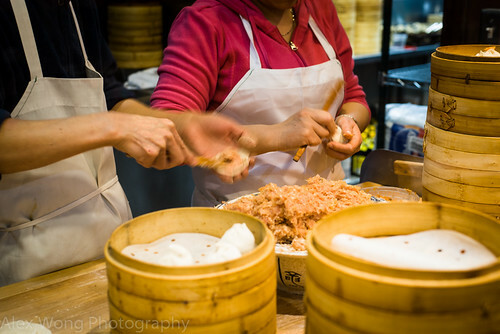 Another trip entailed an order made with pork and crab roe – the subtle crab flavor married well with the mild pork. The perfect palate cleanser was the hot tea with its bitter tannins to wash away all the good richness from each little purse. Being the only restaurant in the DMV area serving this dish, they have got their act right for this house speciality. Another steamed item that I was curious to try was Sticky Rice Shiu Mai. The shrimp version was what I am accustomed to having had enough of it in Cantonese Dim Sum houses. 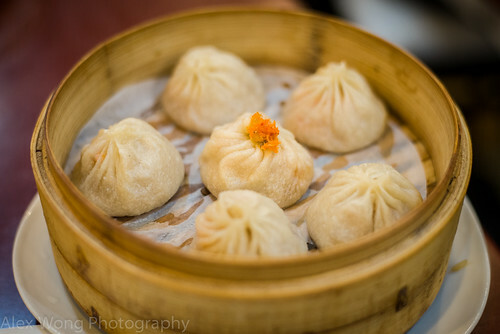 But these Shanghai bites were not what I really expected. Thin egg pasta skin has been stuffed with cooked glutinous sticky rice and steamed to bring the elements together. The rice filling had bits of Shiitake mushroom imparting its oakey woodsiness into each grain, along with a faint fragrance of bamboo leaf which the rice was steamed in. But for me it was just starch on starch, and my interest in it quickly faded – my Southeast Asian conditioning was screaming for more salt and flavor interests. Maybe a side of soy sauce and more ingredients in the stuffing would have made them a success for me. However, my friend seemed to enjoy them, and I appreciated the dish’s veritability. 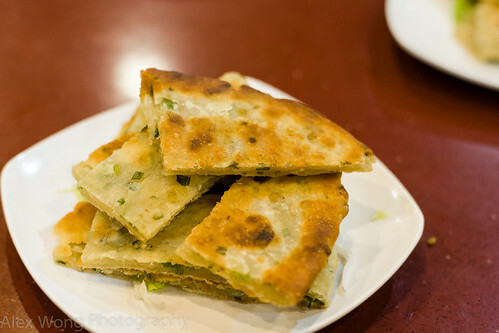 Another Shanghainese small bite that I had read about was Scallion Pancake, and an order made it to the table. 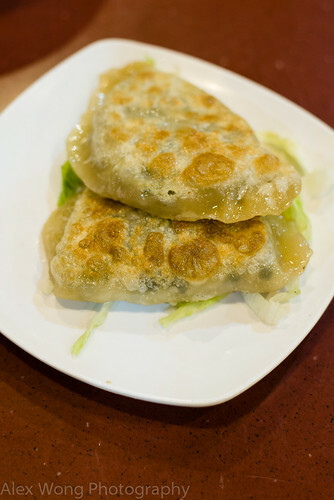 Flat pieces of dough containing pieces of green onion have been fried crisp, filled with a mild pungency from bits of green onion in each bite. Again, my Southeast Asian sensibility was screaming for more in the areas of flavor, salt, and taste interest. After a few bites, I was beginning to appreciate this simple dish especially the light crispy texture. Another fried small bite was Leek Fried Crescents. Semi-circular pastries made from glutinous rice flour arrived at the table looking a bit drab and lack luster. But one bite into it called my attention. The stuffing was a soft concoction of Chinese chives and soft fluffy scrambled eggs that exuded savoriness that belied the simple ingredients. As I was marvelling with each bite, my Chinese friend stated that sometimes bits of dried shrimp can be found in the stuffing. Sound the gong! Yes, the Umami-ness is from the use of finely shredded dried shrimp that brought each bite to another level – I could not get enough of these bites. The last order from the “tapas” section was Spicy Wontons. 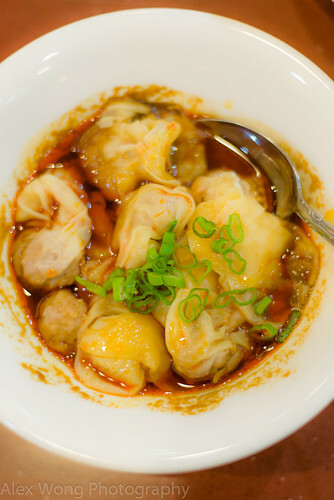 I grew up on these Cantonese style dumplings either in a mild-sauced noodles or in a clear broth. In this case, these bites came swimming in a pool of redness, ringing out its fieriness with its Szechuan identity. Sure enough, each bite was spicy hot from the chili oil and made more incendiary by the use of Szechuan spicy bean sauce, Doubanjian, which added the necessary saltiness to a well-flavored meat filling that could have stood by itself. After a few bites, the chili heat was making my mouth slightly numb from its sting, but this salty meaty combination was completely irresistible for both of us, breaking my friend into a sweat which didn’t slow him down at all. Having read online customer reviews, Ja Jiang Mien was mentioned a number of times, and I couldn’t pass up this opportunity to try it. My dining companion had mentioned that this Beijing dish is usually salty and plain. 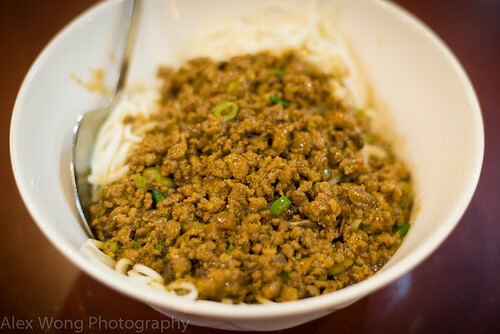 A bowl of thin wheat noodles arrived with a topping of minced pork seasoned with fermented beans sauce, soy, and garlic. Salty it was; plain it wasn’t. After giving the noodles a good mix, it tempered the salt content, and the meat sauce imparted its savoriness to the bland starch. The presence of couple of pieces of Edamame was a nice surprise. My friend further exclaimed that this version was a supped-up version of the original, which was to our benefit for this sitting – a slightly salty but savory slurp indeed. Hint: follow the advice of cyber critics. Moving on to the main courses. I decided to taste their version of Ma Po Tofu. This ubiquitous dish can be found in most so-called Szechuan eateries but I have always longed for something that give me a good sense of the true dish. Well, this one did. 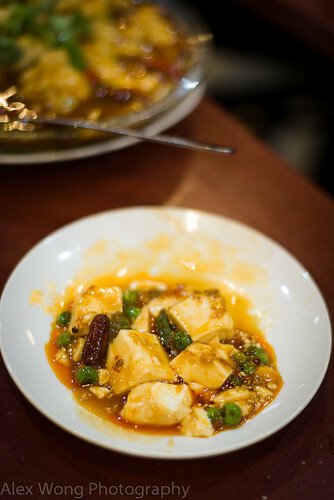 A glass bowl arrived with silky smooth tofu cubes covered in a thin pool of fiery chili oil, furthered spiked by bits of dried red chili bits, and bits of fresh-shucked peas (judging from its granular texture and myriad of sizes) and carrot that provided textural and flavour contrast to the slipperiness. A good stock and some bean sauce provided the necessary body to what could have been a two-note dish, boosted by large slices of fresh garlic. What I thought was a sprinkling of white pepper on top totally misled me. It was the regional Szechuan peppercorn spice that added to the singe quality in my mouth with its lip and mouth-numbing effect, compounding the back throat burn from the chili oil. Having a penchant for gastronomic pain, I couldn’t put my spoon down, and I was enjoying every mouthful curiously waiting for the five-alarm bell to sound! Being a bit of a masochist for chili heat, I also ordered another fiery dish at the same sitting (Yeah, I know) – Flounder Fillet in Hot Chili Sauce. 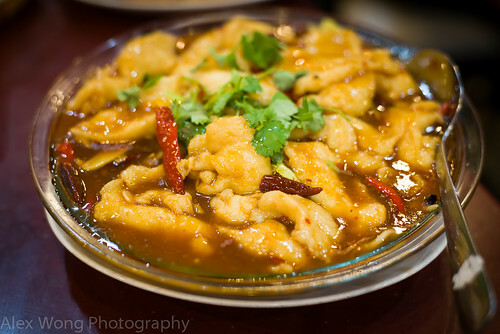 Pieces of mild-tasting flounder have been battered in corn flour to produce a silky coating after being smothered by a stock-sauce filled with bits of pickled red chilies, which added some sourness, along with some scorch, and dried chilies. Like the above dish, I was enjoying the heat level that was just right, even with the mild tasting fish, and this was further aided by large slivers of pungent garlic. The mound of blanched broad bean sprouts and Napa cabbage not only provided textural counterpoint but also some necessary relief to the sweat-inducing notes. A tasty and satisfying fish dish indeed, but not for the faint of tongue. Eating at Bob’s Shanghai 66 was like a study abroad lesson in Chinese culinary topography, from the rarely served and tasty Soup Dumpling, alongside a bit flavor-lacking but authentic small bites, to the fiery Szechuan tapas and main dishes that did a number on my taste buds that kept me coming back for more for its complexity and not-so-suble mouth-numbing flavors. 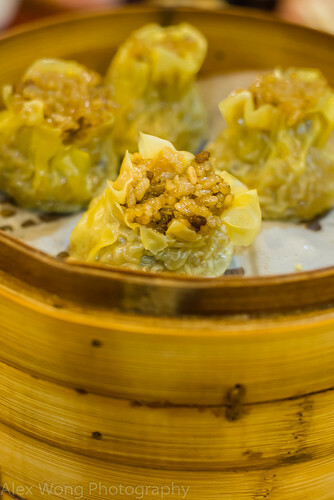 This is what true Chinese cuisine is about – unadulterated, revelatory, and uncompromising. With a large Chinese population in the DMV, more restaurants are stepping up to the demand from customers and knowledge of the initiated. Places like this puts the cognoscenti like me many steps closer to attaining the Holy Grail of this grand Asian cuisine. A recent visit to this place gave me a chance to try some new dishes. A Chinese “tapa” ordered was Beef Wrap with Scallions. It was like a burrito wrap with a strong wheat skin encasing thin slices of beef and lettuce leaves. The beef slices tasted seasoned, made even more savory by a copious amount of Hoisin sauce that made each bite delectable. 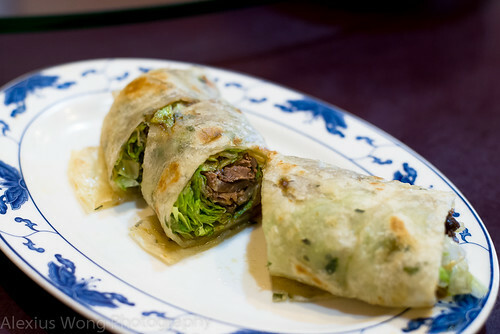 The use of wheat and beef meat points toward the northern origin of this small bite, akin to the Southern Fujian version of Popiah (see blog). Unfortunately, I could not detect the use of scallions which would have added a slightly pungent note and more interest to these mild bites. For a seafood dish, we honed in on Salt and Peppered Squid. I had tasted this dish before in another Chinese restaurant recently (see blog) that I have grown fond of. 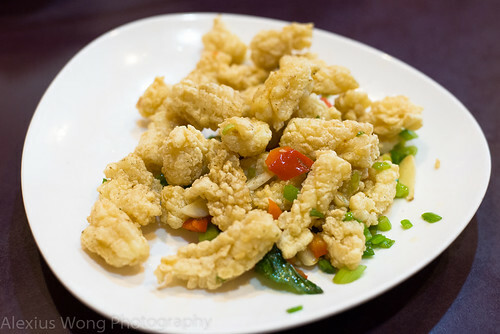 The pieces arrived battered and deep fried, with slices of green onion and red pepper softened by a short trip to the hot oil. However, this plate was quite lame compared to the aforementioned version. The batter was a bit too thick and not crisp enough due to either a lack of sufficient time in the oil or the oil not being hot enough. What a shame. The last main dish was Shredded Pork and Bamboo Shoots. 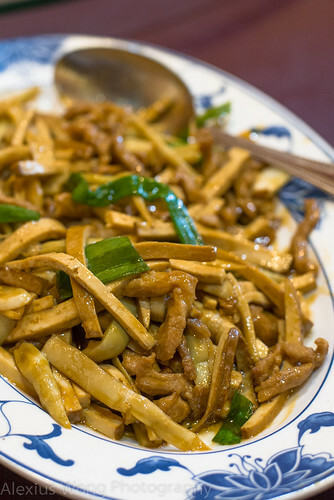 Slivers of young bamboo shoots are paired with slivers of pork, tofu and green onions, all brought together by a savory sauce made of oyster sauce, soy sauce, and sesame oil. I enjoyed the tenderness of the bamboo shoots, the mild moist slivers of pork, and the healthy mild tasting tofu that provided more soft texture to each spoonful. And that sauce – it was enough to whet the appetite and to beckon the mouth to get another mouthful. This was definitely a dish that is a vestige of its former identity as Bob’s Noodle 66 (see blog). A dish worth ordering, in my estimation.